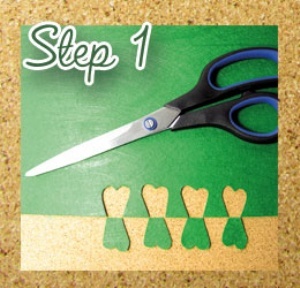 From a strip /sheet of green felt - cut out 3 - 4 leaf shapes (hearts with no points) Or rounded M's, making sure they are the same size. Thread your needle, and pinch the bottom of the felt heart matching the corners up. Push the needle through the folded ends and pull the thread tight. You can repeat the step for strength. 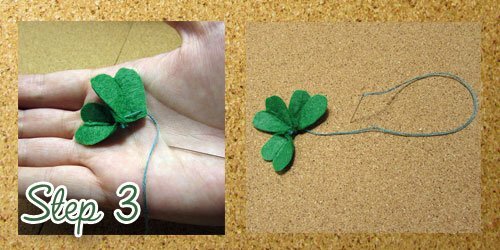 Push the needle through the second pinched leaf, and then through the 3rd or even fourth, depending on how lucky your shamrock is, so that they are all threaded as closely together as possible. Pull it tight so that all of the leaves are bound together at their bottoms. 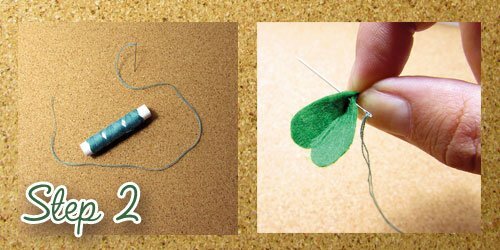 Then, as one last attempt at strengthening the sewing, insert the needle at the bottom of all the leaves and pull the thread tightly. Tie a knot to secure the stitches and Voila! You are ready to (sham) rock! 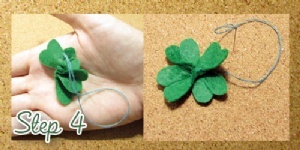 Use these small shamrocks as pins / brooches by attaching them to a safety pin. 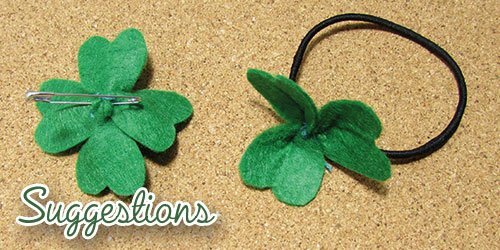 You could also sew them onto hair clips or hair slides; hair bands, an aliceband / headband; earrings, a tie pin or a length of craft wire to make pot plant decorations. 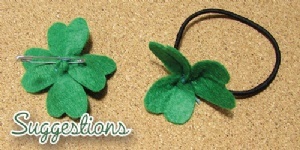 You could even use them to decorate a 'good luck' card as a gift for a friend. This item has 672 views.